In the beginning of this year, we extended the Internship Programme to Ireland. Vocational students from all over Europe now have the opportunity to apply to Erasmus+ with ADC College and choose between London and Dublin as their destination. A vibrant and international city, Dublin has lots of internship opportunities perfect for students keen to develop their English skills and work abroad. To introduce you to our Dublin branch, we decided to interview one of our newest recruits, Janine Duerkop, our Students Services Manager. Originally from Germany, Janine moved to Ireland four years ago and has previously worked as a company trainer and data analyst. When she saw the ad for the role with ADC, she knew straight away that she wanted to be part of the Internship Programme and share her enthusiasm for Ireland. We are just as excited as her! Janine at the Glenbarrow Waterfall. Tell us a bit about yourself and why you applied for a job with us. Four years ago, I moved my whole family from Germany - yes, I really took my mum, sister, brother and our pets with me. Ever since, I have fallen in love with Ireland. When I saw the job description for ADC I instantly knew I wanted to work with you. I think it will bring students a unique experience, from which they will highly benefit. What is your role at ADC College? I am a Student Services Manager and responsible for the German account as well as work placements. So on the one hand, I will be in contact with students and teachers who will come over for the programme and on the other hand I will liaise with the companies and organisations where we place students. What part of your job do you think you will find the most inspiring or interesting? I love working with people and it will be inspiring to see how much the students enjoy their placements and how much the companies will benefit from the good work the students do. Also, I am inspired by the students. Some of them are quite young and even though their work experience might only last for a couple of weeks, it is a brave step to work in a country where people speak another language. How would you describe the Internship Programme to someone who hasn't heard about it? You have the unique opportunity to work and live in a different country for a short while. It is very well organised and you won’t be left alone with any concerns you might have. Our work placement partners and hosts are carefully chosen to make sure you get the best experience. Also, it will look great on your CV! How would you describe Dublin to a newcomer? Dublin is a very multicultural, vibrant city with a unique charm. 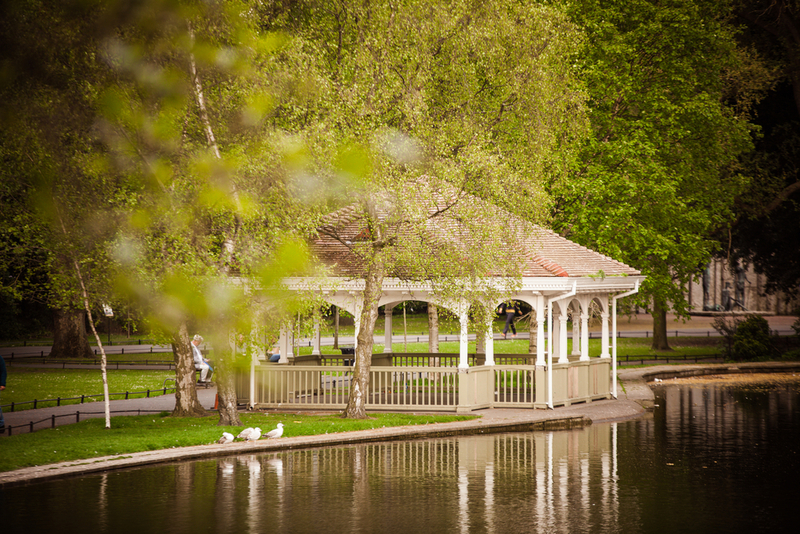 What is your favourite spot in Dublin? I love walking in the St Stephens Green Park and the zoo in Phoenix Park. In the evening, I love to be at the Grand Canal Quay – I just love the light reflecting on the canal in the evening. Why do you think Dublin is a suitable destination for work experience? Irish people are very open minded and friendly. They are very happy to help and support each other as well as newcomers. Everything is a little slower in Ireland, most of the time people really take their time to get to know you and make you feel comfortable. Even though Dublin is a big city, it is easy to get around and that can be beneficial too. St Stephens Green in Dublin. What do you think will be the biggest challenge for our work experience students in Dublin? If you could give one piece of advice to someone who is interested in taking part in the Internship Programme, what would it be? This experience will broaden your mind. You will learn more about yourself and how different it can be to live and work in a new country. That is why it is important to be open-minded and flexible. ADC College now organises the Internship Programme in Dublin, eligible for funding from Erasmus+. Don't hesitate to contact us if you would like more information about what we do and how to get funding. Call our Dublin branch today on +35 315 314 419 or send a message to info@adccollege.eu.